2015. Mixed media on paper. 42cm x 42cm. 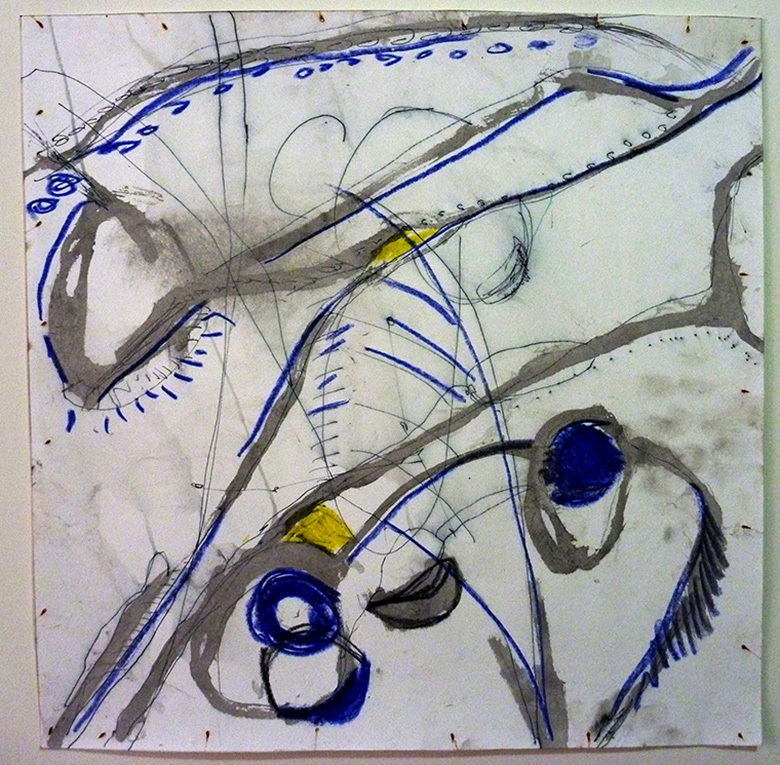 10 drawings in series, signed on verso. What is out-there - only what you take with you. Out of silent subtle mystery emerge images. These images coalesce into forms. Within each form is contained a seed and essence of life. Thus do all things emerge and expand out of darkness and emptiness. Because its essence is real and evident in the origins of all things, the name of the Tao has survived since the beginning of time. How can you be at one with it? Simply by looking inside. With Tao, sometimes you move ahead and sometimes you stay back. Sometimes you work hard and sometimes you rest, sometimes you are strong and sometimes you are weak, sometimes you are up, sometimes you are down. - The Tao Te Ching of Lao Tzu - 21 & 29.